There are too many Google ranking factors to be addressed in one blog. Below we tackle a few of the major contributors that can help or hurt your Google ranking. Fresh and original content is a major contributor when discussing Google rankings factors. Creating quality content that is unique to your site will encourage people find and share the content, this will greatly enhance your Google ranking. Social media increases the exposure opportunity for your content, when people start sharing and commenting on your content that will drive more people to your site and creates more links to your site. Links to your website from other sites, called backlinks, is another major Google ranking factor. As your site gains more backlinks Google recognizes that others find your site important and will rank you higher. Fresh and new content is the best way to increase backlinks to your website. That is why content it is first on the list. One of the newer Google ranking factors is a mobile friendly site. If your site doesn’t have a mobile version, create one today. Not only because Google will severally penalize your for not having a mobile site, but you are losing business because more and more people are using their phones to search the web and that number continues to grow every day. If your website pages are slow to load this is another Google ranking factor that you need to address. A web page should be fully loaded in less than 3 seconds. If it is taking longer than 3 seconds then you need to edit your page and find out why the page is taking so long to load. 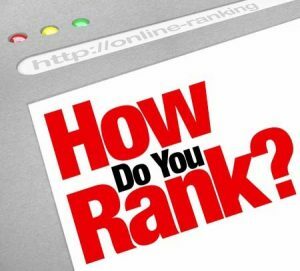 As we stated previously, there are many Google ranking factors but having these four in place will get you on your way to a page one listing. If you have any questions or would like to discuss your Google ranking give Global Internet Technologies a call today. ← Content above the fold, what does this mean? © 2019 GIT Webservices. All Rights Reserved.